Hi-Polymer Lead Refills — Tube of 12. Available in a variety of sizes. 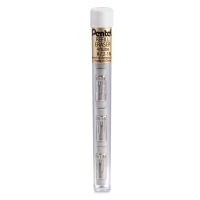 Eraser Refills — Package of 4. 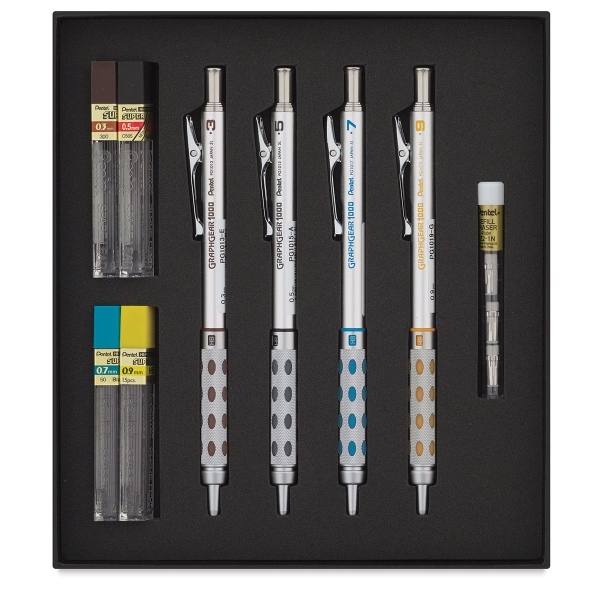 Graph Gear 1000 Pencil Set — This gift set includes one Gray Accent 0.5 mm mechanical pencil, 30 pieces of HB lead, and a Hi-Polymer eraser. 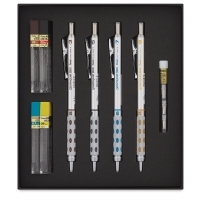 Graph Gear 1000 Elite Pencil Set — This set includes a 0.7 mm Graph Gear 1000 Pencil, 12 pieces of corresponding HB lead, and a Black Hi-Polymer eraser. 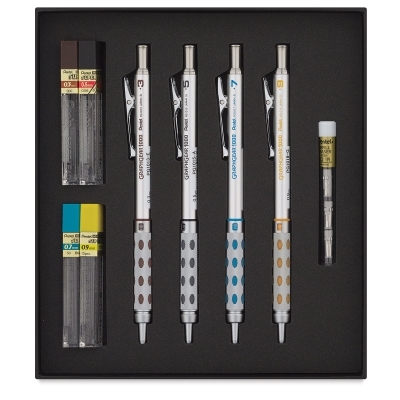 GraphGear 1000 Premium Pencil Set — This set includes four pencils (0.3 mm, 0.5 mm, 0.7 mm, and 0.9 mm), Super Hi-Polymer lead refills in all sizes, and four eraser refills. 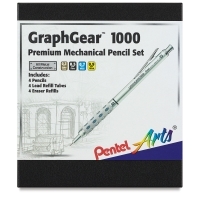 ® Pentel is a registered trademark.™ Graph Gear 1000 is a trademark.